Do This: Brows and Blowouts with Cutler and Benefit at Bloomies Soho | Fashion. Style. Beauty. | Life is short. Live well. This Friday, May 15th at Bloomingdales Soho, Cutler Salons and Benefit Cosmetics are hosting Brows and Blowouts from 12:00 p.m. – 7:00 p.m. With every $65 Benefit purchase, you’ll receive a touch-up from a Cutler stylist. While you’re there, get your makeup done by a makeup artist and your brows shaped at the Benefit Brow Bar. Call Julie Monti at 212-729-5132 now to book your appointment! 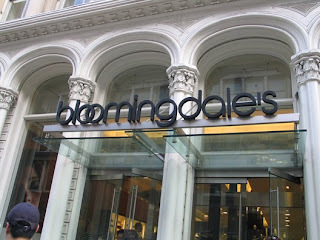 NYC ladies, get thee to the Bloomies Soho before you head out Friday night! Spring is here and it’s time to look fierce for cocktails al fresco. I’ll see you there!